Greek Club Soccer: Greek SuperLeague, Greek Soccer Cup, Greek Teams in UEFA Champions & Europa League, Greek Football League (2nd Division), and the Gamma Ethniki (3rd Division). Greek National Soccer Team: Latest News, World Cup Qualifying & Finals, Euro Cup Qualifying & Finals, UEFA Nations League, updated roster, FIFA Rankings, and results in past competitions. Greek Basketball: Greek A1 Basket League, Greek Basketball Cup, Greek Teams in Euroleague & FIBA Champions League, and the Greek National Basketball Team. Other Features: Daily Greek Sports TV listings (USA, CAN, AUS, GRE) and a weekly newsletter will soon be released. LIVE Greek TV: Live TV straight from Greece with access to Greek sports and much more. We recently partnered with World Greek TV to bring you LIVE Greek TV straight from Greece with access to all your favorite shows, movies, events, and of course GREEK SPORTS. We are happy to offer this service to Greek sports fans across the world. Details can be found here. The website caters to Greek sports fans abroad including the United States, Canada, Australia, Europe, and more. As our audience increases, the site will continue to grow and develop into much more than the content it currently pertains. We are a new site and value our viewer’s feedback. Please feel free to reach out to us (click here) so we can continue to best fulfill all sports fans’ aspirations of a perfect Greek sports resource. Please LIKE our Facebook page and follow us on Instagram (@AGONAsport) and Twitter (@AGONAsport) to stay completely updated in Greek Sports! Thank you for visiting AGONAsport.com! Sarantos N. Kaperonis was born and raised in Charlotte, NC, and graduated pharmacy school at South Carolina’s College of Pharmacy. His parents are from a village in southern Greece, Karyes (Arachova), Lakonia. 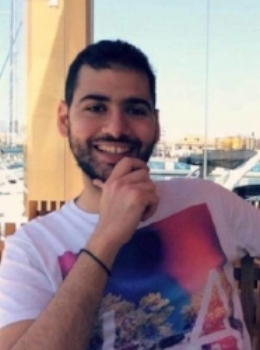 He was a big sports fan from a young age and during Greece’s magical run to the Euro 2004 Championship, he fell in love with not only Greek football, but Greek sports in general. In addition to playing football and basketball for his local church and high school in Charlotte, Sarantos really enjoyed following sports in Greece. In 2015, his passion led him to build AGONAsport.com with one goal in mind: to provide a Greek sports resource in English for Greek fans across the world, but to also draw the interest of the Greek diaspora to sport in Greece. Although Sarantos is a fan of Olympiacos, he ultimately roots for the good of all Greek Sports teams. He enjoys nothing more than seeing the Greek National Team(s) shine on an international level along with any other team or athlete that represents our country. His two favorites athletes are Predrag Djordjevic, for his dedication to Olympiacos, and the "Typara" Georgios Karagounis, for simply being Karagounis. In addition to his passion for Greek sports, Sarantos is very involved in Greek Folk Dance. He spends time in Greece researching our culture's traditions through song and dance. He is also a Greek musician, playing the Thracian gaida, Thracian lyra, trumpet, and accordion and is a member of the band Endasi. He loves going back to his village, Arachova, every summer to spend time with family and friends while enjoying pick-up football in the plateia until the early hours of the morning. *In addition to managing the site, Sarantos covers material regarding all sections of the site including: Greek Club Soccer, Greek National Soccer Team, Greek Basketball, Other Greek Sports (Volleyball, Water Polo, etc. ), and much more. George Tsitsonis is a Greek-American freelance soccer writer who lives in Walpole, NH with his wife and two children. Tsitsonis has had a lifelong passion with Greek soccer and the beautiful game in general. He has written for a variety of soccer publications including FourFourTwo, FIFA Magazine, FIFA Weekly, FIFA World and Soccer International amongst others. Tsitsonis’ focus has been predominantly on the Greek game and he finds no greater joy in the sport than celebrating the successes of the Greek National Team. An experienced sports correspondent with over 17 years of reporting under his belt, covering major sports events all over the world, Graham is an exiled expat from the UK who considers Athens ‘home’ since 2004. Specializing in Greek sport since his move, Graham has worked for the Press Association, Reuters, uefa.com, and Insider magazine, among other publications. A true Geordie, Graham’s only regret in leaving his native North East England is that he doesn’t get to see his beloved Newcastle United at St. James’s Park as often as he would like. *Graham covers material in Greek football, mainly writing match reports for the Greek SuperLeague, UEFA Champions/Europa League, and Greek National Team's fixtures. Shaun Nicolaides was born in the United Kingdom, but has Greek-Cypriot heritage and is based in Russia. Since beginning writing about sport in 2012, he has gone on to become the head editor of IHC SKA Saint Petersburg’s and the Russian Ice Hockey Federation’s English websites, which has given him the opportunity to work at the top level for over three years. Other experiences have seen him write for FC Zenit Saint Petersburg’s website, and cover sports commentary online. His first football memory was seeing Greece win Euro 2004, as he watched all of the team’s matches at the tournament. Shaun’s passions cover football, ice hockey, learning languages, and travelling. His favourite team in Greece is AEK Athens, a club which he has grown to love. *Shaun is our leading Greek Football writer, covering various footballing stories in Greece, but contributes for other sports as well. Greg Gavalas has been writing about Greek Football for over 17 years from magazines, newspapers, and online. Hailing from Sydney Australia, Greg was involved in the local game in 2009-2011 as Editor of the Australian & International Football Weekly and before that wrote for The Kosmos and Metropolis Magazine. An avid fan of the Greek game, Greg keeps a close eye on the action in Greece whilst away from that, loves his Motorsport, Rugby League, and great movies preferably from the 80's, 90's or today . *Greg is a blogger contributor, focusing mainly on the Greek National Team and AEK. Nick Tsambouniaris is a Greek-Australian born and raised in Sydney, Australia. His parents are from the Dodecanese island of Kos. Nick is a recent university graduate from Western Sydney University, where he studied a double degree - Bachelor of Business/Bachelor of Laws. 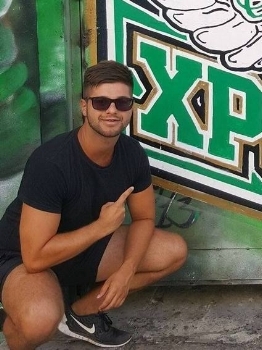 He is a passionate fan of Panathinaikos, sacrificing many hours of sleep to watch games in the early hours of the morning. He also follows English club Aston Villa and the rugby league team St.George Illawarra Dragons. *Nick is both a news contributor and blogger for Panathinaikos related topics, mainly in football. Athan Stylos is a Greek-Australian who lives in Melbourne, Australia. He is currently studying a Bachelor of Business at Deakin University. He's a fan of all sports and can be seen watching his club PAOK. He also plays Australian Rules Football and is a passionate South Melbourne Hellas supporter and also follows the Richmond Tigers in the Australian Football League. 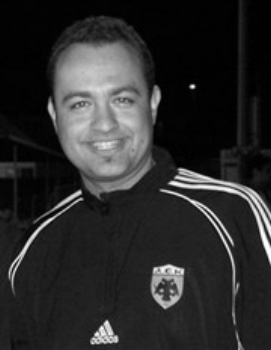 *Athan is both a news contributor and blogger for PAOK related topics, mainly in football. Marios Antoniou grew up in Nicosia, Cyprus and from an early age was a big soccer fan, both interested in the local as well as the international level. After completing his military service in the National Guard of Cyprus, he studied Sociology at the University of Cyprus. At the University of Cyprus radio station UcyVoice, he helped present the sport show “Pasare sto Syggeni.” Along with the radio show he also wrote various sports articles for the student newspaper “Foititiki”. After graduating, he worked at multiple jobs including the position of Marketing Assistant at Thoi Lakatamias which competes in the Cypriot 2nd Division. In 2015, he moved to New Jersey to study Sports Administration in Fairleigh Dickinson University. As a part of his studies, he did an internship with Circle Media, a company that offers digital marketing solutions for sports organizations. Marios completed his studies in December 2016 receiving a Master’s degree in Sports Administration and is currently looking for a career in the sports industry. He has a special interest in sports journalism and is passionate in creating quality content for all sports fans. He is a dedicated APOEL supporter as well as a fan of Liverpool, Barcelona, and Boca Juniors. He loves watching sports and as a true Cypriot he likes to accompany it with beer and BBQ. *Mario covers all the Cypriot footballing action along with Andreas Mantzas. Dimitris Spiridakos was born and raised in Sparti and currently lives in Piraeus. He has been a sports enthusiast since his childhood. He began playing football at the age of 14 and after a good spell in the Greek Local A Division, he was invited to play with the U17 all-state team that took part in the U17 state National League. Although he loved playing football he “retired” at the age of 17 in order to follow his love for martial arts. He began at the age of 10 practicing TAEKWONDO until the age of 17, finishing third in the national league and first in the National Diamond Cup series. He went on to pursue kickboxing where as a freshman at the Air Force Academy, he won the boxing cup of the academy. He went on to join the Greek National Team of Boxe Savate after winning the Greek Championship in 2014 (and 2016), taking part in the 2014 World Series in Italy. There, representing Greece, he won the bronze medal! Dimitris truly enjoys writing about Greek football and has experience in this field at a local and collegiate level. In addition to martial arts and writing, Dimitri enjoys spear fishing while working as an aircraft engineer. *In addition to keeping content up to date on the website, Dimitri covers material regarding multiple sections of the site, with a focus on Greek football. Andrew Stamas is a Greek-American from New York. He recently graduated from the University of Tampa with a B.S. in Business Management. While studying there, he was a sports columnist for the school’s newspaper. He is currently enrolled in law school, as he is pursuing a J.D. degree. He can always be found watching tennis matches on television or online. A former tennis player himself, he is a big fan of the game and especially of the Greek players. His favorite team is the Greek national football team, though he is also a fan of the national basketball team as well. Within Greece, he supports Olympiacos in both football and basketball. In NCAA basketball, he follows St. John’s and was a season ticket holder his entire life. *Andrew covers topics regarding Other Greek Sports, including Tennis, Volleyball, Water Polo, Olympic athletes, and more. Andreas (or Andrew) Mantzas is a lifelong resident of Southern New Jersey in the Philadelphia area. He joined AGONAsport in January 2018 and specializes in Cypriot football. He is of Greek heritage on his father’s side, with origins from the Arkadia region of Greece (outside the city of Tripoli - villages of Agiorgitika and Tzivas), and of Cypriot heritage on his mother’s side with origins in the village of Mia Milia, a northern suburb of Nicosia currently occupied by the Turkish military. He graduated from Rowan University with a BA in Communications in 2013 and in his professional life is a freelance writer. He supports Olympiacos in Greece, Omonoia in Cyprus, Juventus, as well as the national teams of Greece and Cyprus. He cites his favorite soccer memory as Greece’s surprise Euro 2004 triumph, watching with his father, grandparents, siblings, and cousins as the Ethniki shocked the world. When he’s not writing, he can often be found watching sports (especially as a die-hard hockey fan for the Philadelphia Flyers), playing video games, travelling, spending time on social media, or spending time with family. Andreas speaks English, Greek, and Italian. *Andrea covers all the Cypriot footballing action along with Marios Antoniou.